It is no question that the world is adapting to the new cryptocurrency wave that is happening now. There are a lot of regional exchange websites out there today that offer exchange services to the region they are operating at. The only problem with these exchanges is that they often focus on one country and creating/verifying an account is a problem if you’re not from the country the website is based at. Today, we will be looking into one of these websites. The website is called Nzbcx.com and they are New Zealand based website that provides exchange services to its citizens. Since we are not based in NZ we expect that we are unable to provide a full review of the website’s features and services due to the limitations that are imposed on the account that we will be creating. If you guys have a verified account with Nzbcx.com, please let us know in the comments section below about the points that we might have missed or unable to cover in this review. Without further delay, let’s talk about that! 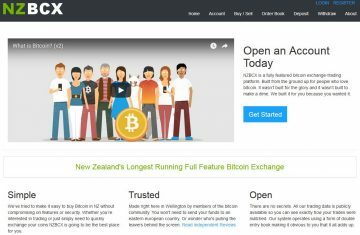 Behind this NZ based crypto currency exchange website is Dave Seyb and Rob Clarkson. Dave has a degree from MIT and is a software developer that spent the last 12 years of his life in Japan running an exchange platform. Dave, with all his experience in the field, decided to take all of that and make it into something of his own. On the other hand, we’ve got Rob that holds a Masters degree in Software Development; which completes the pair. To create an account, head on to their website and click on the “REGISTER” button found on the upper right-hand side of the homepage. To create an account, all you need to have is an account name and an active email address. Once these have been provided a confirmation email will be sent to the provided email address with the login details. Use the login details to log into your new Nzbcx.com account! 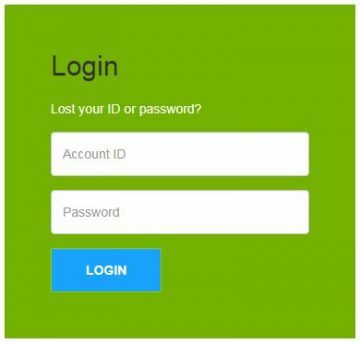 The account login details are system generated, so make sure that you save this to your computer for future use and reference. To get your account working, you need to verify this and provide either a picture of your Passport or Driver’s License. They would also need to have an NZ Bank Statement for added verification purposes (this means that they only accept users from NZ). 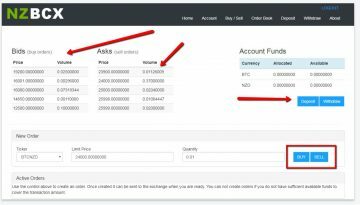 Once everything has been provided, you are now able to use their exchange services. The website does not have any fancy features compared to other exchange websites today, which makes it dull and simple. But sometimes, simple is good since you do not need to deal with so many features just to get one thing done, and that is to purchase BTC. They do have an API which you can read more through this link. For security, they have the Google Authenticator App which you are able to download here. This adds a different level of security and is like the regular Two-Factor Authentication through mobile phones. 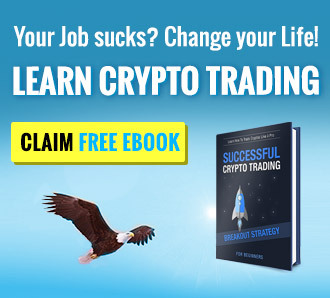 Trading is easy and fun with Nzbcx.com since you do not have that much to look at. The simplicity mentioned above goes for all tabs of the website, even their trading platform! Though there are not many options to choose from, the main pair is only BTC/NZD and that’s it. This makes it easier for people from the region to trade BTC with their local currency NZD. To access the trading platform, just click on the “Buy/Sell” tab which can be located in the upper part of your account. The trading platform is really easy to understand. We’ve got the current Bids and Asks located on the main page along with your current funds on the right. This makes it easier for a trader to figure out what is happening without changing tabs. To place an order, a trader only needs to select the limit price and the quantity they want to transact with. After selecting these fields, the order needs to be placed on either BUY or SELL. Unfortunately, we are unable to provide you guys with the complete final fee listings for this website since they are still in the “Private Beta” stage. Currently, their commission fees are at 1.0% and could possibly go up once their services are fully released. Since the website only accepts users from NZ we were unable to check out how their deposit tabs look like. But we know that they do not currently accept NZ Dollars do be deposited into any accounts until further notice. They have two deposit options; this would be the Wire Transfer from an NZ bank or from your personal BTC wallet. The website is also firm about not receiving payments through third parties but this can change in the future once they are out of the Beta stage. Even without properly verifying our account with them, we should be able to find out what their customer service is like. To our surprise, we only found one channel, and this was their “Feedback” tab right under the FAQ section (ticketing system). We’ve seen so many of these “Feedback” channels that have problems when it comes to resolving issues. The same issues were raised by some users which you are able to read more about here. Nzbcx.com is still at their Beta stage, this means that there are still a lot of features that are not live yet. They are also focused on the NZ market alone, which makes it hard for people outside the country to have a verified account. We would strongly suggest reading more about the development of the website and waiting for their final announcement before transferring funds to the website. Are they a scam website? Maybe not, they’re just going through a rough time.